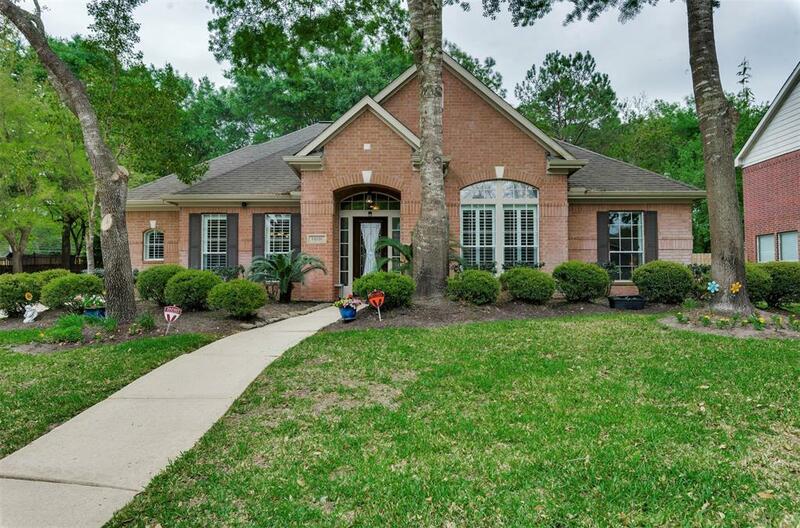 This custom home has all of the features that you are looking for in quality and style. 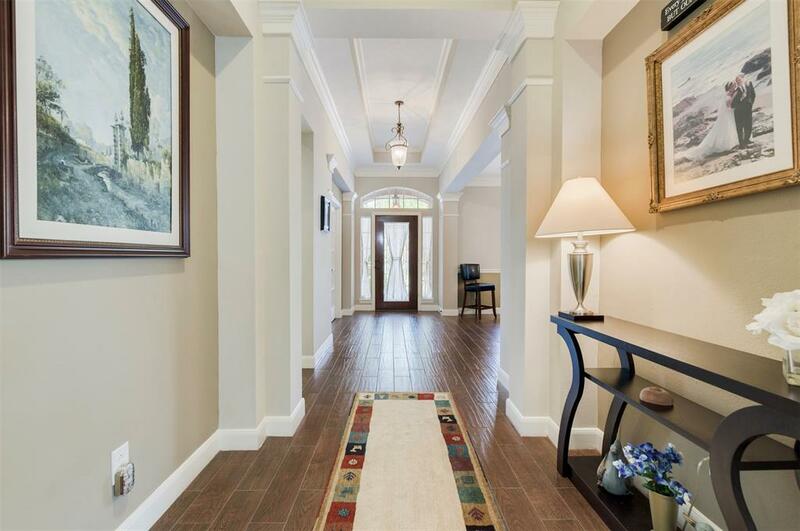 Upon entering the home you will be amazed by the welcoming foyer, the high ceilings and elegant features will draw you in. 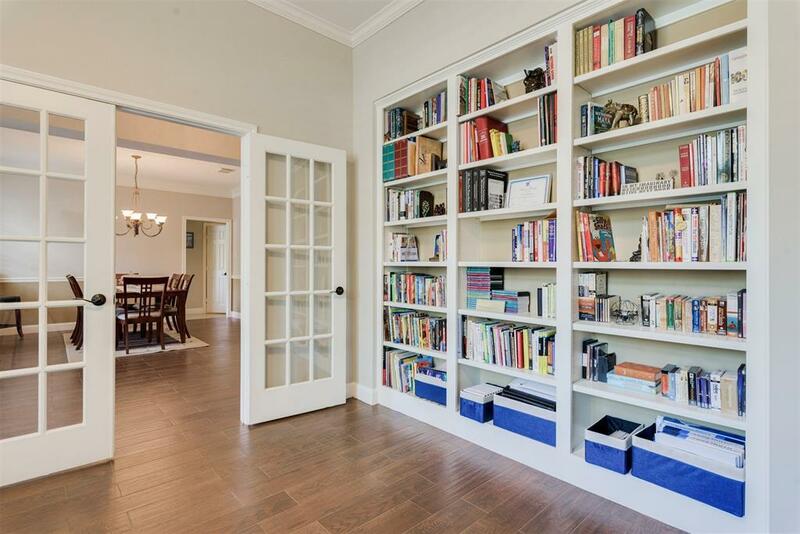 The french doors will lead you right into the study with built-in bookshelves for all of your novels and book collections. The formal dining room with ample space for your oversized dining room set to host all of the holiday dinners in. The kitchen is a dream, with glazed white cabinets and granite countertops and backsplash that is just the perfect combination to give this kitchen a luxurious look. The kitchen opens up to the den and breakfast nook that is surrounded by a wall of windows to bring in the natural sunshine when you need it and the plantation shutters help to keep the light out. 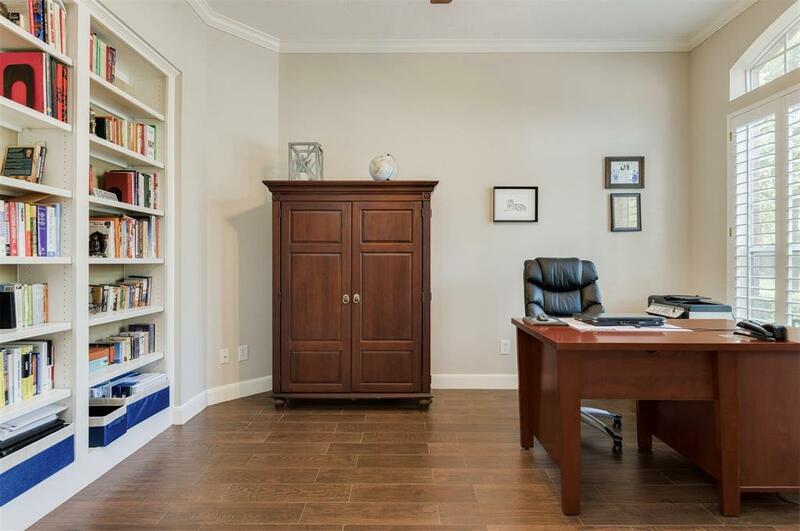 The secondary bedrooms are a perfect size and the master bedroom has a sitting area. Master bath has his&hers sinks, jetted tub and shower & large closet. Too many features to list.